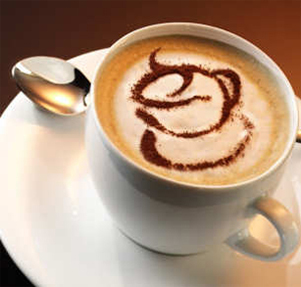 Make your next event a celebration by letting us bring the Cappuccino & Espresso Bar to you. 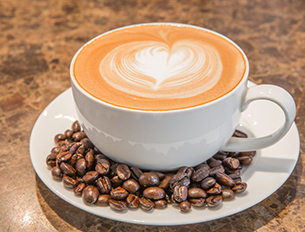 Our professional Baristas will prepare your guest's choice of Espresso, Cappuccino, Latte, Brewed Coffee, Chai Tea, Ghirardelli Hot Chocolate and Hot Flavored Tea made to order. Made with Freshly Ground Espresso Beans. Offering full, rich taste without the bitterness. Great aroma, flavor, and thick, compact Crema. 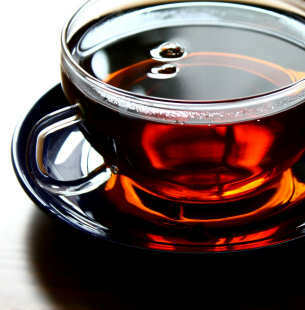 available in regular and decaffeinated. Presented to your guests in a fine leather Tea book with descriptions of each Tea. To enhance the taste of our beverages, Catering At Your Door offers many toppings to choose from, namely Fresh Whipped Cream, Cinnamon, Nutmeg, Milk, Cream, Half and Half, Soy Milk, Almond Milk, Brown Sugar, and White Sugar. 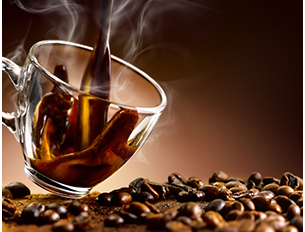 Your guests will fall in love with the rich taste of our espresso beverages. Give your beverages a richer taste with gourmet syrups like Amaretto, Caramel, Roasted Hazelnut, Irish Cream, Raspberry, and Vanilla. Our collection of syrups compliments all the available beverages and greatly adds to their flavor. 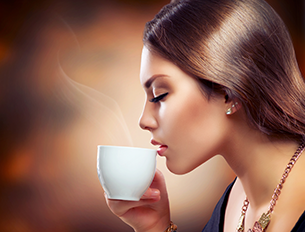 Catering At Your Door uses first class espresso equipment for a true taste of espresso drinks. Our team will arrive at your location one hour prior to make all the arrangements, and serve your guests. Our service is for a complete 1 ½ hours. Our professional staff is dressed in black pants, white shirts, and aprons. We will also be responsible for cleanup after the event. For many years, we have been catering Espresso + Cappuccino bars for weddings and corporate events in all areas of Virginia, Maryland, and Washington including Baltimore, Rockville, Potomac, Silver Spring, Chevy Chase, Gaithersburg, Vienna, Falls Church, Chantilly, Reston, Alexandria, Fairfax, and Manassas. Call (240) 328-5071 to let us discuss your event. Iced beverages are available at an additional charge. when you order a Menu Package from Catering At Your Door. Click here for our Smoothie Station. Additional menu items (Pasta Bar, Waffles, Crepes, Omelettes, etc.) are available upon request. Click here for a complete list of our Menu Packages.